It is juvenile to believe that Ankara will ever quit the EU-Turkey migrant deal even though it repeatedly threatens to do so, the EU Commission chief said, while urging the public not to think of all Turks as “small Erdogans” siding with their leader. Just days after Turkish Foreign Minister Mevlut Cavusoglu threatened to pull out from the landmark migrant deal, President of the European Commission Jean-Claude Juncker downplayed Ankara’s rhetoric, saying it is doubtful such strident statements will ever pass a reality check. 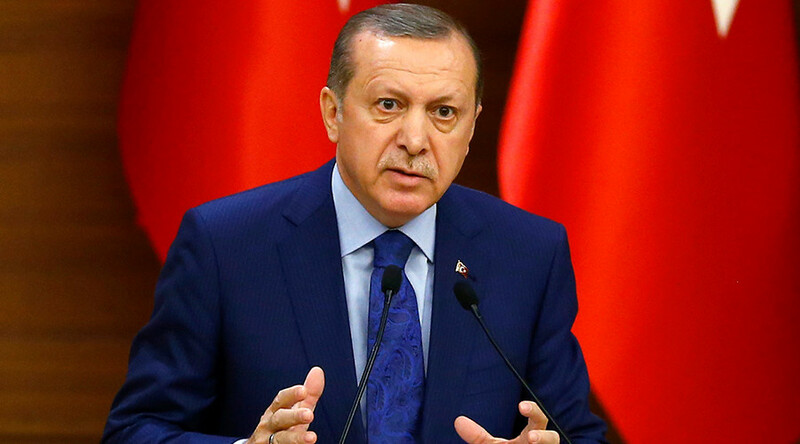 “Turkey will not terminate this agreement, even though Erdogan has repeatedly told me it will. I’ve outgrown these threats,” Juncker told Bild am Sonntag in an interview. It is not in the interests of Turkey to have “smuggler gangs and bandits” off the country’s shores, he said in an apparent reference to human trafficking routes run by organized crime. The controversial deal – signed in March last year by the EU and Ankara – has massively reduced the flow of migrants from Turkey into Greece and onward into the rest of the bloc. The key agreement stipulates that for every Syrian migrant sent back to Turkey, one Syrian already in Turkey will be allowed in the EU. 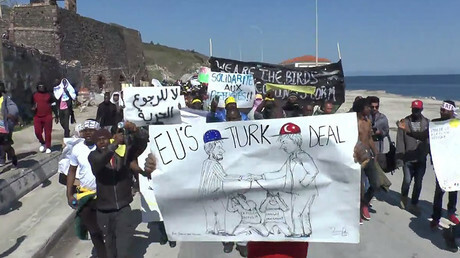 However, implementation of the landmark deal became increasingly fragile as Turkey and some European states engaged in a dramatic escalation earlier this year. The diplomatic row ignited after countries, including Germany, Austria, and the Netherlands, cancelled rallies set to be attended by Turkish ministers, where they planned to advocate for the upcoming constitutional referendum in Turkey. However, the veteran politician urged the public not to equate Turkish communities with aspects of Ankara’s policies. “I have no problem whatsoever with millions of Turks living in our part of Europe. They are well-integrated and contribute to our welfare system,” he said. Turkey, a NATO member since 1952, officially became a candidate for EU membership in 2005. After more than ten years of slow-moving, lingering talks, the two sides seem to be far away from the initial goal.